Super slick haired, easy fleshing production heiress. A maternal sister to the dam of BUBS Tom Tom W02, we love this cow family for their maternal traits, soundness, longevity and growth. 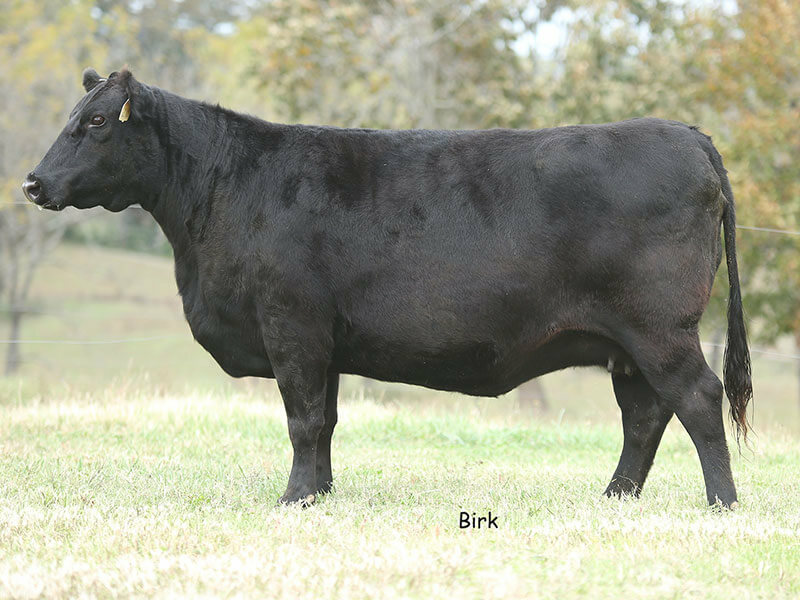 XH10 records 5 natural calves with a 361-day calving interval, WR [email protected] YR [email protected] Her prolific dam is still in production at the age of 15 and records 13 natural calves with a 364-day calving interval, WR 12 @112, YR [email protected] This female line is our top revenue generating clan to date.